Azama has the lowest Attack stat in the game, making him one of a rare few units who prefer it as a bane. Instead, Azama prefers Defense or HP to further establish his niche as a bulky healer. Speed can go either way on him, but Resistance is too low to be useful in any way. It should be noted that Azama is one of a handful of units who gain very little from their boon/banes. +DEF: Defense is the best of Azama’s stats. He can sit on the field and take hits for his teammates if necessary. HP: HP is only good for boosting physical bulk. It’s recommended to keep it neutral. SPD: Speed can be important for Azama defensively, helping him escape double attacks from foes. He also gains four points from a boon, bringing him to a decent 30 Speed. This makes it the second best stat for Azama to have a boon in. -ATK: With the lowest Attack in the game, Azama can safely dump his Attack in favor of other stats. This is largely in part due to staves which give bonuses to their heal scaling. -RES: Azama is too slow to survive engagements with mages, so he can lower Resistance without penalty. However, he gains four points from a boon, and can work as a great debuffer with Ploy skills when he has a boon in Resistance. Thanks to his titanic Defense, Azama is unlike any other healer in the game and can stand in harm’s way with little to fear. This build capitalizes on Azama’s defenses while maintaining the destructive AOE damage that Pain provides. If you don't want to use Azama to attack, it may be better to run with the build below which focuses more on team support. In many ways, this is a standard Razzle Dazzle set. Double Savage Blow combined with the Pain staff allow Azama to wreak havoc on enemy teams without a risk, thanks to the Dazzling Staff refine. However, his poor Attack means that Wrathful Staff cannot help him much, and so it’s better to forego it for a better B slot for him. Guard ensures that he can take hits without enemies charging deadly specials. Seal Atk/Def is another option that can turn a positioning error into an opportunity for one of Azama’s team-mates. Chill Spd is a great option for Azama, and with a Speed boon, will make him much harder to double. It's best used in combination with offensive team-mates. Live to Serve takes full advantage of Azama's survivability, and is recommended if taking him to multi-map modes such as the Tempest Trials. Close Def gives Azama even more Defense, enough to survive even double attacks from many foes. Fortress Def is a great alternative as is the cheaper Defense +3. Recover+ is the best choice for healing as it does not depend entirely on his Attack. Imbue gives Azama a small boost to his healing support, which helps to make up for his low Attack. Miracle's low charge time makes it somewhat unreliable, but it does make Azama a nightmare to KO, particularly when he runs Live to Serve. Thanks to gaining four Resistance from a boon, Azama can build his Resistance into something worthwhile. A Resistance boon combined with Fortress Res gives Azama 34 Base Resistance, enough to open up Ploy Skills as great options for him and sacrifice some offensive strength for debuff potential. This build is better suited to those who don’t want to attack with Azama at all, and would rather him take on a full support role. Even without investment, his base 32 Defense is enough to survive many physical assaults. Recover and Dazzling Pain are still great for Azama, allowing him to avoid some of the downsides of his low Attack stat. Thanks to Fortress Res, Azama is bulky on both sides of the damage spectrum. Where this build really differs from his standard set is the choice of Ploy and debuff skills over Savage Blow. There is no set rule for exactly which type of Ploys Azama should run, and it also depends on the kind of team-mates that Azama is paired up with. Atk Ploy is good in nearly all situations, making Azama harder to kill, making tanks more sturdy, and helping users of Heavy Blade activate the skill more reliably. Res Ploy is better when paired with strong offensive mages who just want enemy Resistance lowered. Def Ploy and Res Ploy are more situational and depend more on Azama’s allies. By running these in his Seal slot, he can switch between them more easily, making him cheaper to build. Finally, Chill Spd is his best choice of B slot skill. The Speed debuff makes it much easier for Azama to survive assaults by enemies and is a godsend to nearly every ally he can have. It’s best to have the Speed debuffing skill as a Chill, as he may not always have enough Resistance to debuff mages and this ensures the most important debuff will be activated. Azama hails from Fire Emblem Fates. Thanks to his nihilistic personality, he’s a favourite character among fans of the game. Despite how often Azama speaks of death, he is perhaps the least likely healer in the game to die. He sets himself apart from other units with an odd statline fitting of his personality. Azama has the lowest Attack stat in the game, which he pairs with a whopping 32 Defense. This makes him very sturdy as a frontline unit compared to most other healers. Being available at 3 to 4 stars makes Azama commonly available and easy to merge. Don’t be fooled by his low Attack stat, he has many ways to circumvent that weakness thanks to the unique properties of his weapon type. Like most healers, Azama is very useful even on a budget and makes a strong addition to many teams. The most impressive part of Azama’s statline is his huge 32 Defense. 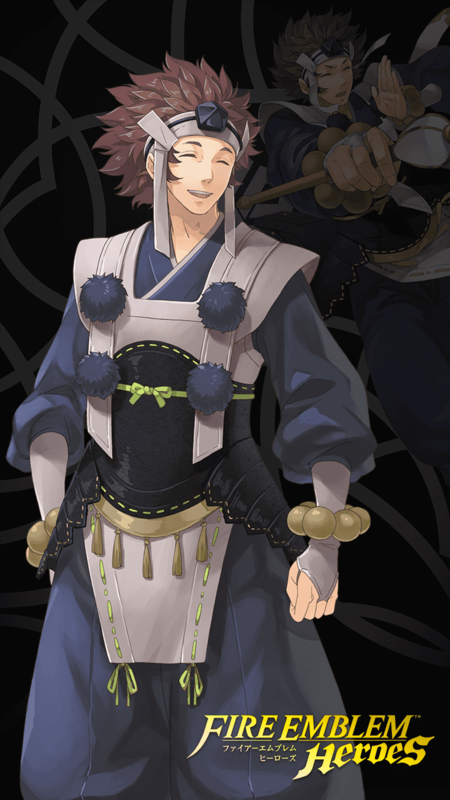 With the right skills, Azama can easily push his Defense past 40 making him very unlikely to die to physical damage. Unlike other healers, Azama can be left in front of enemies with minimal penalties making him a lot less risky to use. Thanks mostly the numerous buffs staff-users have received, Azama now finds himself having offensive and defensive merits. Not only can he support the team with healing, he can Attack to cause huge amounts of area of effect damage. Azama is great at whittling down the HP of enemies for his teammates to finish off. At the time of writing, Azama has the lowest Attack stat in the game. This makes it hard for him to run Wrathful Staff builds and also reduces the base healing he can do. While this is not ideal, he can get around this weakness with skills like Recover+ that let him heal more than his Attack would suggest. Despite being very strong against physical damage, Azama is weak to magic damage. He is not fast enough to avoid double attacks from mages who can exploit his average Resistance, and not strong enough to KO them with retaliatory damage. This also extends to dragons, particularly those invested in Speed. One of the primary benefits of being a healer is versatile team choice. Azama has something to offer many types of teams, from mass damage to mass healing. He does not require any allies to do his job, but some can make him even more effective. Tanks: Tanks are commonly seen with skills such as Quick Riposte and Guard which work off high HP thresholds. Azama’s healing can keep them topped up and allow them to defeat many more foes. Azama works well with anyone using Quick Riposte, but some examples are Hector, Nowi, Corrin-F, Zelgius, Fallen Hardin and Myrrh. Galeforce Users: Thanks to his widespread flat damage, Azama can help allies using Galeforce to score multiple KO’s in succession. Cordelia, Eliwood, Brave Roy and Cherche are some allies who make good use of Galeforce. Dancers: A dancer can let Azama double his healing output, or turn his 24 flat AOE damage into 48. Olivia, Azura, and New Year’s Azura are three examples who make Azama a lot more effective. While he is resilient against physical damage, Azama crumbles under magical damage thanks to his low Resistance and Speed. And although he can usually weather physical assaults, he can be overwhelmed by certain offensive builds that pack excessive firepower. Quad Builds: Units like Elincia, Hana, Arden and Halloween Jakob can bust through Azama’s defenses with their monstrous quad builds. They also often run Specials which scale off of their opponent’s Defense to deal increased damage. Mages: At only 26 base Speed, Azama is easily doubled and KO’d by fast mages. Linde, Nino, Katarina, Delthea, Tharja and Soren are commonly seen and can decimate Azama. Threshold Attackers: Azama must beware of units bearing skills such as Wings of Mercy, Wrath, Vantage and Desperation. Through his flat damage, he can inadvertently give users of these skills an upper hand by activating them for free. Lyn, Olivia, Nino, Nephenee and Valentine’s Hector are commonly seen with one or more of the aforementioned skills. Primary tank healer designed to help level up new heroes in training maps and Heroic Ordeals. Obstruct is key in letting Azama create chokepoints and nullify whole crowds while the trainee levels up behind him. WoM can take the B slot if needed, but often double Fortress skills maximize tankiness while keeping Atk as low as possible to prevent killing the enemy. Threaten Atk and self-healing of Martyr+ ensure survival most of the time. Azama's mixed bulk makes him possibly the cheapest option for bodyguarding new units in Special Training maps. In all Special Training maps, the highest Atk targeting Def is 40 (armour) and targeting Res is 35 (cavalier mage). Combined with Brazen Def/Res, the bulk needed for a unit to wall is 33/28, which Azama can achieve mergeless at 4*. Note that in Ranged, dagger units can inflict -5 Def/Res, potentially leaving his vulnerable. Live To Serve 3/Renewal can be used in his B skill to counteract the damage received. Boon/Bane: +Def -HP. +Def is needed to hit 33 Def. HP is chosen as bane since after it dips under 80% he no longer cares about it. Weapon: Fear is chosen in case the unit being trained is -Atk or otherwise DPS-impaired. Pain is also a good substitute. Assist: Rehabilitate is classic healer staple. Special: Imbue gives the escorted unit an extra +10 heal. Considering the sheer swarm of enemies, it is likely he can proc this every turn. A Skill: Brazen Def/Res 3 is crucial, lowering the bulk requirement to wall against all Special Training enemies from 40/35 to 33/28. After getting his HP knocked down under 80%, he becomes invulnerable to all enemies. B Skill: Obstruct 3 is definitely chosen to help protect ranged units he is escorting, and definitely not for the memes. C Skill: Spur Def/Res 2 provides some useful support for units that are defensively weak. This should be swapped out according to the weakness of the unit he is escorting. Seal: Fortress Res 3 boosts his Res to 28 to hit the threshold. It can be substituted for Res +3 or equivalent if he is highly merged. Statline is 47/29/30/42/44 at +10. Meant as a semi-standalone unit for gamemodes that reward stalling (Arena Defense, etc.). Ideally paired with an identical Azama that swaps out Fort Res seal for Fort Def (and Threaten Atk for Threaten Spd if desired). PainInflicts 10 damage on targeted foe after combat. Pain+After combat, if unit attacked, deals 10 damage to target and foes within 2 spaces of target. ReconcileRestores 7 HP each to target and this unit. MartyrRestores HP=7+this unit's suffered damage. Unit heals HP=half suffered damage. Slows Special trigger (cooldown count+1). Martyr+Restores HP = this unit's suffered damage +50% of Atk. (Minimum of 7 HP.) Also restores HP to unit = half suffered damage. Solid-Earth BalmWhen healing an ally with a staff, grants Def+4 to all allies for 1 turn. Threaten Atk 1Inflicts Atk-3 on foes within 2 spaces through their next actions at the start of each turn. Threaten Atk 2Inflicts Atk-4 on foes within 2 spaces through their next actions at the start of each turn. Threaten Atk 3Inflicts Atk-5 on foes within 2 spaces through their next actions at the start of each turn.